What will be the new normal of schooling? And that is precisely what we want to do with education — turn the whole art upside down. We question everything, dig up assumptions and try new ways of being, thinking and doing. Why? Because we know enough about human history to know that our current model is designed in the image of the Industrial Era. 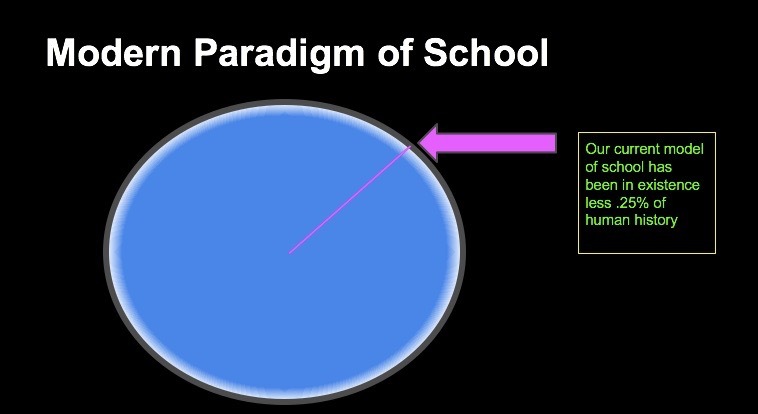 We know that the current way of doing school has only been around for about .25% of human history. Humans discovered fire, agriculture, mathematics and language without going to school as we know it. 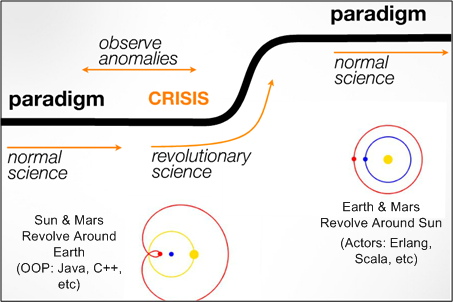 And we know from Thomas Kuhn that there is a common progression between what we think of as “normal” and “revolutionary.” He says it is often young people within the field and people from outside of the field who question traditional habits and observe anomalies in order to articulate a completely new and radical paradigm. This is the essence of our Fellowship program: bringing together educators who want to question habits and try out new ways of teaching and learning. We are currently accepting applications — join us today! Previous postWhat does differentiation look like in the classroom? Next postComing up: 2016-17 Fellowship!